When you see a real estate listing that reads "Agent Owner," "Broker Owner" or something similar, it means that a member of the listing team for the property also owns it, at least in part. Usually, this doesn't make a big difference with the property, since, after all, a house is a house. However, it can affect the information you receive about the property and the way that you negotiate and conduct the transaction. 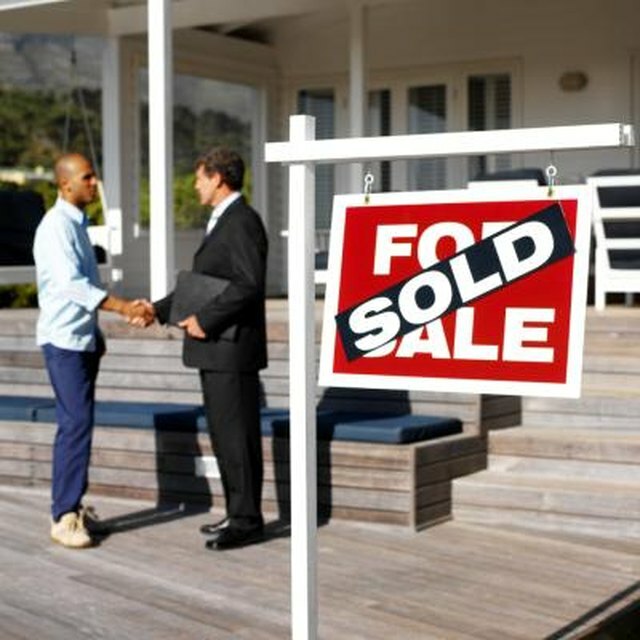 Real estate agents have an advantage over the general public when they get into real estate transactions. Research conducted by the National Association of Home Builders at the beginning of 2013 indicates that the average homeowner stays in her house for 13 years. Agents, on the other hand, conduct multiple transactions a year, with some doing multiples a month or week. As such, an agent simply knows more about the process than most non-licensed home buyers. This is why many states require agents to disclose that they have a real estate license to anyone who gets into a transaction with them. Doing it right in the advertisement makes it clear from the get-go. Property disclosure laws vary by state. In some states, owners have to disclose everything that they know, but in others "caveat emptor" is the rule and buyers must do all of their own research. Having an owner who is also an agent can change the equation, though. Even if an owner isn't required to disclose what she knows, some states and some real estate association boards require agents to disclose all of the facts that are known to them. As such, you may be able to get more information about a property from an owner who is also an agent than you would from an owner who is not real estate licensed. If the owner is an agent, she may not be collecting a commission on the sale. If she is, she's probably going to keep at least a portion of it for herself. What this means is that an owner agent can get more from the sale than a member of the public can after paying a separate agent. You may be able to use this to negotiate a little bit harder and either reduce the price of the house or get additional credits for work on the house. This might not make a big difference since the average total fee is just around 5.4 percent, based on 2011 research from Real Trends, and you're only fighting for half of it, but every little bit can help. If you aren't familiar with the laws and business practices that come into play when you buy a house, it's wise to have a real estate agent or an attorney on your side helping you. When the party on the other side is an agent, you're at an especially large disadvantage. Buying from an owner-agent isn't like buying from a regular "for sale by owner," where the other owner might not know how to structure a transaction, either. The agent-owner on the other side of the transaction probably knows every trick to create a transaction that will be beneficial to him and legal without you noticing. Having your own agent or attorney will protect you from this. Arkansas Realtors Association: House to House: Is Property Condition Disclosure Required by Law? Nolo: Should You Hire a Real Estate Agent or Lawyer to Buy a House?